The masters of psychedelic pop are back after a long wait with their brand new single ‘Patience’. Frontman Kevin Parker opens the track singing “Has it really been that long”, to which all Tame Impala fans would reply “Yes”… but with new music this good, Kevin you are totally forgiven for taking your time! 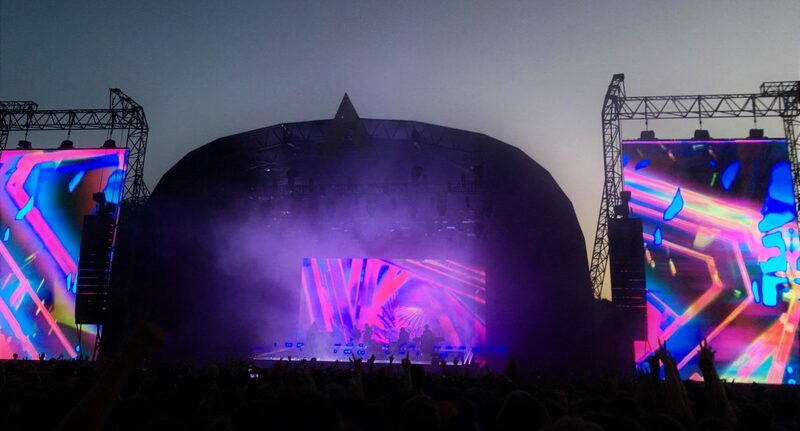 Questions have been circulating as to whether new material was coming ever since Tame Impala were confirmed as the Saturday headliner for Coachella festival, but with no words from Parker, it had seemed uncertain. In an Instagram post made at around 3 am UK time, Tame Impala gave fans their first indication that new music was due, using the caption “New track. 1 hour. Speakers/headphones ready people”. With so many mainstream musicians dropping teasers and hints for months in advance of a new release, it certainly is refreshing to have new music, with no messing around. ‘Patience’ combines the distinctive vocals which first featured in Innerspeaker with Lonerism‘s distorted sounds and the poppy feel of Currents, to create a track which is Impala’s most disco to date. The easy piano refrain, flourishes of guitar and light beats make you want to groove along. For keen fans, the retro nod to 70s disco will not come as a complete surprise. Parker recently gave a modern makeover to an 80s Nigerian disco track, ‘Only You’, releasing a cover of it with rapper and singer Theophilus London. The ambiguous lyrics of ‘Patience’ see Parker contemplating the cycles of life, singing that he is “Growing up in stages / Living life in phases / Another season changes”. The easy delivery of the lyric “I’m running out of pages” perhaps notes that Parker has made peace with the transience of time, as well as potentially acting as a reference to the fact his bachelor days are over, since he got married in February. Parker makes a nod to Tame Impala’s absence from the music scene since the release of the 2015 LP Currents, saying “People ask me all the time… What you doin’ with your life”. Undoubtedly a reasonable question from fans, since the album helped propel the band to festival headliner status, but no new music followed. It would be easy to presume Parker had taken a break from music but he’s been busy behind the scenes, producing tracks for many of the biggest artists in hip-hop. Parker co-wrote and produced ‘Skeletons’ off Travis Scott’s critically acclaimed album Astroworld, and provided drums for Kanye West’s ‘Violent Crime’ and Lady Gaga’s ‘Perfect Illusion’. Fans have also spotted his signature sound in a remix of Miguel’s ‘Waves’, Chinese-American producer ZHU’s track ‘My Life’, and in A$AP Rocky’s song ‘Sundress’ which was built around a sample from the Tame Impala hit ‘Why Won’t You Make Up Your Mind?’. With an appearance on the U.S. show ‘Saturday Night Live’ scheduled for March 30th, and twenty-two nights on the festival circuit confirmed (including Glastonbury), Parker certainly seems ready to step back out from the shadows. Eager fans can only hope that the wait for a new album will be over soon too.